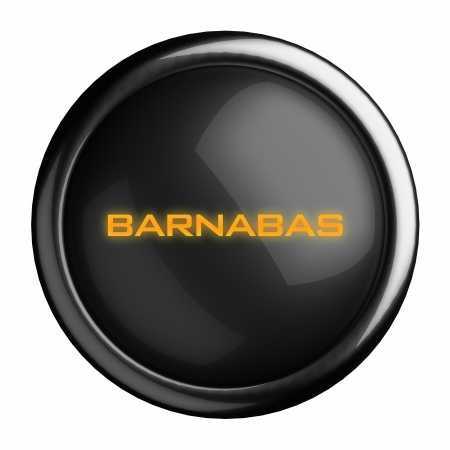 Barnabas is a man who was very instrumental in the spread of the Gospel in the early days of the church. Yet, he is not as well known as Paul who we consider to be the first, and greatest, missionary in church history. Of course God could have used someone else to facilitate Paul’s introduction to the church and to launch his missionary career, but He used Barnabas. Let’s look at this great early church leader through snapshots we get from various scripture passages mentioning him. We learn much about Barnabas from the first words given in the scriptures about him. Barnabas was originally named Joses, which is the same as Joseph. But the apostles gave him a new name—Barnabas. This name means son of consolation or encouragement. It comes from the same root as the name often used by the Lord when talking about the Holy Spirit—Comforter. Barnabas is seen in the scriptures providing help, encouragement, comfort, and wisdom to those around him. In many ways he acted like the Holy Spirit in the lives of the apostles. These verses also tell us that he was a Jew from the tribe of Levi. Barnabas was from Cyprus yet we know that he was very involved in the church in Jerusalem and Antioch. In his life he traveled the known world with Paul and John Mark. Barnabas sold his property in order to donate to the early church. This, as-yet, unknown leader of the growing church stood in stark contrast to Ananias and Sapphira whose story is told in the chapter after this one. They sold their land in a show of pride, yet were not really committed to giving to the Lord from their heart. They were killed by the Spirit of God while Barnabas was praised. Barnabas is seen in the scriptures providing help, encouragement, comfort, and wisdom to those around him. In many ways he acted like the Holy Spirit in the lives of the apostles. Saul of Tarsus, the persecutor of the church, had just gotten saved in the previous verses and had his name changed to Paul. Justifiably, the people in the church were skeptical of Paul’s true purpose in coming into their ranks. Barnabas had already met Paul and was willing to stand up and vouch for Paul’s authenticity as a Christian. Barnabas was sensitive to the leading of the Holy Spirit. It could not have been easy to stand up to the church and try to convince them that the man who shortly before was beating and imprisoning Christians was now a believer. Barnabas had enough of a reputation in the Jerusalem church by this time to be trusted by the congregation. On the word of Barnabas they allowed their former enemy to become one of them. The Gospel was being preached to the Gentiles and many began to believe on the Lord as their Savior. But the church at Jerusalem was not sure that this was appropriate. They were not aware, or not confident in, the vision Peter had in Acts 10 which gave him the mandate to take the Gospel to the Gentiles. Barnabas was sent to investigate. Again, the church at Jerusalem trusted the character and decision-making of their friend Barnabas. When he returned with the report that God was truly doing a work among the Gentiles in Antioch, the church accepted his assessment. So much so, that Barnabas then left the church in Jerusalem to seek Paul so that they two could go and be a help to the church in Antioch. They did this by taking an offering from the Jerusalem church and by preaching to the people in Antioch. Here we see the story of the first time Barnabas and Saul were sent out as missionaries. It is interesting to note that for a while Barnabas is listed before Paul (or Saul) when talking about this missionary team. Barnabas seems to have been the leader recognized by the church at Antioch. At some point in Acts the leadership switched. Paul took over as the leader of the team. This is another testament to who Barnabas was. He did not demand his authority. He existed to help others accomplish their ministry. God used Barnabas to bring others to their full capacity in ministry. We see this with the relationship that Barnabas had with Paul. This mentoring of weaker brothers that Barnabas did even caused some tension between him and Paul in regards to John Mark. John Mark had abandoned Barnabas and Paul during their first missionary journey (Acts 13:13). Obviously Paul was not happy with what had happened. He and Barnabas ended up parting ways because of the contention between them concerning taking Mark on the next journey. There are different opinions as to who was right and who was wrong in this matter. My personal thought is that God used this parting of ways between these two great men in order to multiply the effectiveness of their ministries. Paul took Silas with him and trained another man in ministry. Barnabas set out on his travels with John Mark and mentored him into a profitable servant of God. Paul even acknowledged this fact years later when he asked that Mark be sent to him because he found John Mark to be profitable to the ministry after Barnabas had invested so much time and training in him (2 Timothy 4:11). Barnabas’ great strength was also his weakness. It is often seen in men like Barnabas. Because he was so good at building personal relationships with others, he sometimes put people before truth. Barnabas wanted to please those around him. In doing so, he was a great encouragement to those with whom he worked. However, he allowed doctrinal truth to take second place to these relationships. In Galatians the problem was that Peter had been working with the Gentiles. He started this ministry in Acts 10. However, he still saw the Jews as superior in the way they lived. Apparently he would sit around and fellowship with the Gentiles as long as there were no devout Jews around to criticize his methods. Peter encouraged Gentiles to live as a Jew to show their salvation. While he may not have slipped into the realm of works salvation (as opposed to salvation by grace), it seems he leaned that way. From this passage in Galatians 2 we see that Barnabas also followed Peter’s teaching; probably in an attempt to please Peter. He allowed his relationship with Peter to take precedence over the truth of the Gospel of grace. Do you know someone like Barnabas; a man of compassion, encouragement, and who could befriend just about anyone? We need men and women like this early church leader. He took young, immature Christians whom others did not trust and turned them into strong leaders for the ministry of the Lord. If you consider yourself a Barnabas in character, be sure to stay connected to God’s Word and don’t let truth slip because of a desire to please others. Thank you for another interesting article with Scripture! Truly enjoyed reading about this missionary, Barnabas. Thanks so much for being an instrument/vessel of God’s Word, David! God’s wonderful blessings and graces be showered upon you, David, your family, and your ministry!! Previous post: What Does It Mean To Have A Hardened Heart?